Acer launches laptop with under 1cm thickness at IFA 2016, and the company has named it the Swift 7. Acer’s new laptop is just 9.98mm or 0.39 inches thick, features a 13.3-inch Full HD display with Gorilla Glass protection and is powered by Windows 10. The HP’s super slim Spectre laptop was recently rolled out in India as the world’s thinnest laptop but the Acer’s Swift 7 is even thinner than that. 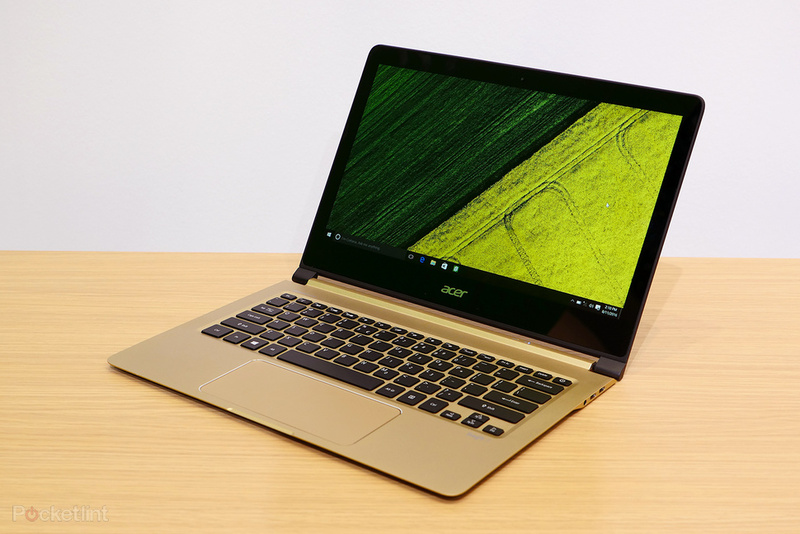 Acer outfits the new notebook in an aluminum unibody chassis, which is dark on the outside and a quite classy gold on the interior. Despite of its slim size, the laptop is quite good on the hardware side. The Swift 7 is powered by Intel’s brand new 7th-generation Core i5 processor, comes with 8GB of RAM and 256GB of SSD storage. An advanced 2×2 Wi-Fi 802.11ac and two USB-C ports are also available on the device. The display up front is a 13.3-inch IPS panel with Full HD (1920×1080) resolution, however, no touch version is available in the new laptop. Moreover, the battery installed into the notebook is expected to last for about 9 hours, and credit goes to the lower power consuming 14nm process of the 7th-generation CPU. According to Acer, Dolby Audio speakers are also integrated into the laptop, however with such low depth, its is doubted that they would be high-end. The Swift 7 will launch in China in September for ¥6,999, and in the Europe and the US the laptop will be rolled out in October, at prices of €1,299 and $999, respectively.